Did Respawn Deserve the Negativity Surrounding the Apex Legends Battle Pass? Respawn Entertainment recently released a battle royale title that has quickly proven it can compete with the big dogs of the genre like Fortnite and Player Unknown’s Battlegrounds. It’s been absolutely no secret that Apex Legends has been extremely popular since it released on Feb 4th, 2019 earning a whopping 50 million players in a single month alone. Just a few short days ago the developers released brand new content in the way of the season 1 battle pass and while there are mixed feelings about it, up until now the content was seen as a bit of a black mark on the glowing reputation of Apex. It begs the question: was this influx of negativity something Respawn deserved? 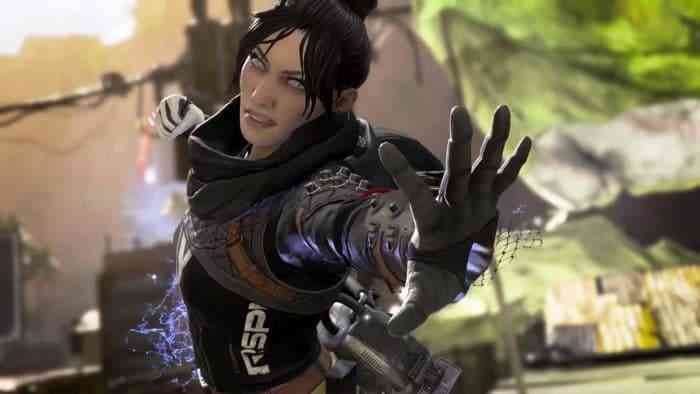 Despite announcing the season 1 battle pass for Apex Legends back in February via their roadmap, along with a vague release date of sometime in March, fans have been very expressive with their frustration since the beginning of the month. It could be argued that the big assumption surrounding the battle pass was that Respawn would, in similar fashion to the full game release, drop the new content without much notice. So why then did fans make such a big deal on day one? Sure, some might look at the vague release window and hope it’ll come out on the first day of the month, but the more likely scenario is that the release date will fall sometime beyond that. And while the more likely scenario is exactly what happened, that didn’t stop some fans from sounding off all over social media on March 2nd to voice just how disappointed they were that the season 1 battle pass had yet to arrive. Unfortunately for Respawn, this wouldn’t be the last time that Apex Legends would be bogged down in negativity, as many of those who were upset with the lack of new content on March 1st, remained hopeful that it would instead be released on the date gleaned from the rumor mill. According to rumors, it was believed that the season 1 battle pass would release on March 12th. Again, when the day came and went without so much as a single cosmetic item being added to the game, fans caused another huge stir on social media. After amassing quite the player base in such a short time, there were those who made comments about how if Respawn couldn’t get it together and release the new content, that many of these fans would find another game to play instead. And though this was a possibility, Respawn’s CEO Zampella couldn’t help but stoke the fire a bit more. When asked whether players will still get to see the season 1 battle pass in March, Zampella responded with a single word: yes. As you might imagine, this didn’t make the already tense situation any better. Considering fans were already very disappointed with the way things had been going previously, this definitely wasn’t the answer they were looking for. Fast forward to exactly one week after the rumored release date and Respawn did the very thing they promised, they released the battle pass. At no point was the new content delayed and it has, in fact, come out within the time frame originally given, so again I ask, did Respawn deserve the negative fan response? No, they didn’t. Sure, maybe it didn’t help that Respawn didn’t reassure fans, and announce a specific date for the content, remaining very tight-lipped until the very end, but honestly, they have every right to do just that. And really even with their decision to remain quiet, at no point did Respawn give fans a reason to doubt the content was incoming, and in no way was the base game affected by not having the content on March 1st. And where are these fans who were up in arms because they hadn’t yet received the battle pass? Very likely they’re playing The Wild Frontier on Apex Legends. And why? Because the game is still every bit as good today, if not better, than it was on day one, back on Feb 4th. This entire situation should be a lesson in patience for the entire industry. Just because there’s the expectation of incoming content, doesn’t mean we need to get upset every time it doesn’t release on the date we were hoping. Instead of getting upset that the content hasn’t arrived yet, we need to be excited at the anticipation that the game will be better once it arrives. Instead of expressing frustration over the equivalent of spilt milk, we need to applaud the developers for striving to make the game even better than before. This is an example that illustrates the fact that fan base entitlement is still very alive and well across the industry and at the end of the day we, as gamers in this industry, need to do better!